Using this web site signifies that you agree to all terms and conditions of its use, including all updates. Laws that apply to its use include but are not limited to those of the United States and New York State. Material on this web site is copyright by Carol Goldberg, Ph.D. with all rights reserved. Transmission of material on this web site by any means, whether by electronic, print, or other methods, and whether whole, part, or modified, is not permitted without written permission of Dr. Carol Goldberg and if such permission is granted, must be with proper citation of this source and not used for commercial purposes. Material on this web site and on the television program Dr. Carol Goldberg and Company?/sup> is offered as a public service, with general information rather than advice for individuals. Viewers and web site users should seek prompt professional attention for their own conditions. Efforts are made to have the latest accurate information, but timeliness and accuracy cannot be guaranteed. Videos from Dr. Carol Goldberg and Company?/sup> may be downloaded to computers. As the sole owner of the copyright and rights to these videos, Dr. Goldberg gives permission for them to be played and disseminated for public education if without alteration and if not used commercially. Those appearing on this web site, other web sites via links provided herein, and the television program Dr. Carol Goldberg and Company?/sup> are solely responsible for their own statements and representations and are not endorsed by Dr. Carol Goldberg. 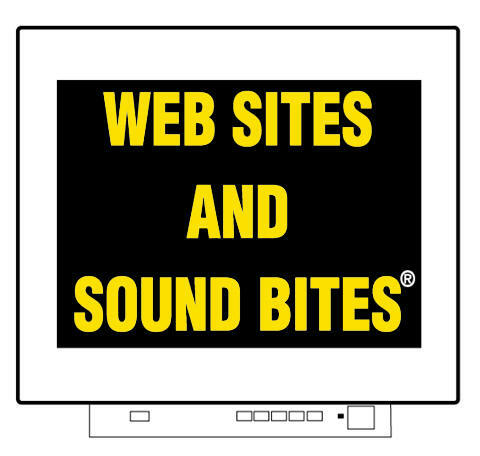 Dr. Carol Goldberg, Web Sites and Sound Bites?/sup> and/or Getting Ahead Programs?/sup> are not responsible for statements and representations made by others or for information on other web sites to which links are provided herein. References and links to sites, people, organizations, and material are provided for the viewer's convenience without any endorsement. Since electronic communications, such as e-mail, cannot be guaranteed to be secure, do not e-mail private information; it will not be treated confidentially. If you send us e-mail, doing so means you voluntarily give us permission to contact you, including placing your address on our mailing list if we want to. It should be understood, as is customary with web sites, information is collected about its traffic. We use this information internally to track and improve our web site and services. Third-party server technicians and engineers, who enable our web site to go out over the Internet, have access to such information and use it to maintain and optimize functionality. While it may be possible to identify individuals, their computer IP addresses, and their e-mail addresses even if you do not send e-mail to us, we do not disclose, sell, or exchange such information with third parties. We abide by laws and will disclose information if required to do so by law. Our online credit and debit card payments are through the secure payment processing services of ProfessionalCharges.com. It uses a secure (SSL) Web server for the handling of all credit card data, which encrypts or converts the data into unreadable code, which allows users to enter private information and credit card data safely. VeriSign, a major commercial credit card processor and security company to handles the verification, authorization, and processing of credit card charges. We reserve the right to change policies described herein so please check back for updates.